Is your church looking for the chance to explore new ideas and discover a new path? Do you sometimes feel caught between ideas and action? You’re not alone. That’s why Leadership Network has developed the Leadership Community. The Leadership Community experience will bring fresh and new ideas to areas that have grown old and tired. Beyond typical brainstorming, your team will be stretched to think beyond the boundaries of current reality to answer the question, ‘what’s around the corner?’ The labs are designed to help you infuse new ideas in an existing ministry area and/or give you a quick start in a ministry area, based on the tested and proven results of other churches. You’ll get to hear from experts in various ministry fields and jump miles ahead of where you could go by yourself. Leadership Network is happy to announce that it is launching its eighth Generous Churches Leadership Community focused on helping churches create a culture of generosity, stewardship and giving. This Leadership Community will feature the results based collaboration Leadership Network is known for and will help your team shape a plan to create a culture of giving and stewardship in your church. Churches that have participated in previous Generous Churches Leadership Community have seen dramatic results including an increase in per capita giving and number of giving units. 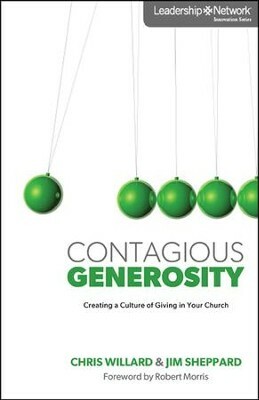 This Leadership Community will provide your team with the time and input needed to shape a plan to create a culture of giving and stewardship in your church. The Generous Churches Leadership Community will meet four times during the eighteen month period. 1. Proven Innovator in church ministry. 2. Open to new ideas and a desire to change. 3. Commitment to an 18 month term and participation of a team of three decision-makers for full process, which includes pre-meeting work, a series of four and post-meeting follow up. $6,000 if registered by January 31, 2014 (excluding travel/lodging) After February 1, 2014 the fee will be $8000. Includes meeting facilities/resource speakers/materials for the entire length of the community for a team of three participants payable prior to the first onsite meeting in Dallas TX, and is by application and invitation only. Pingback: Should Christians Tithe fully to the Local Church?